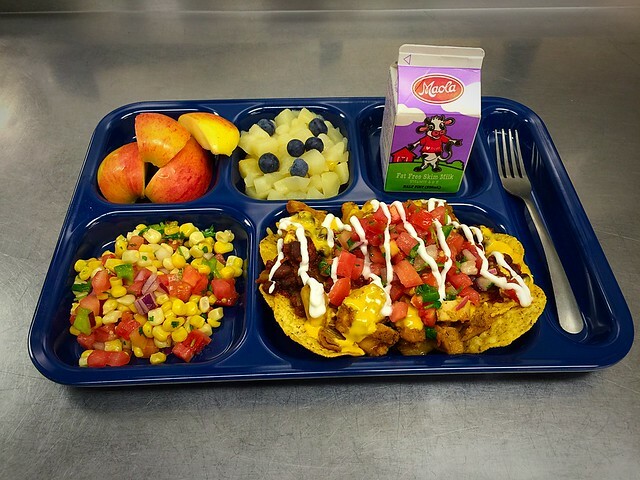 Prince William County Public Schools (Va.) demonstrates how USDA Foods can create nutritious and appealing meals, while supporting the dairy, fruit and vegetable and protein industries. Would love to see a carton of whole milk on that tray! How about we celebrate American Agriculture with apples, beans and carrots OR avocado, berries and cauliflower OR apples, broccoli and cucumbers. Some many whole food options that children do indeed like. Dairy and Meat will be included in the meals but why highlight them. The health of our children is the ultimate goal, right? !